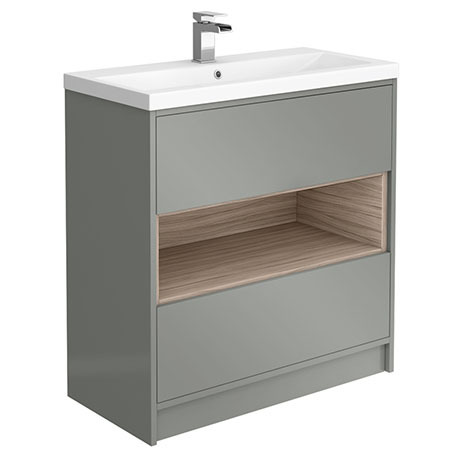 The minimalist Haywood gloss grey and driftwood effect vanity unit is ideal for adding a sophisticated touch to any bathroom. Features spacious highly practical soft closing drawers and a stylish single tap hole mid-edged ceramic basin top. The Haywood furniture range is great for creating a bathroom space that is fresh, modern and unique. Open shelf for storage where everything is easy to see and access.